During the summer season, most women like to wear bright pink nails. However, before you decide which pink color to use, it’s important that you consider your hair color and the skin tone. A bright pink color stands out against tanned skin. This involves giving yourself a spa treatment at home. First, get a dish with warm water, then add one tablespoon of salt. You can go a step further and add lemon in the mixture in case your nails have started to change the color. Secondly, you should deep your hands into the solution for about 7 minutes. Once you’re done, you should scour your hands by splashing them with water. It’s good to note that, exfoliating makes the skin soft, so it becomes easier to remove cuticles around your nails. To ensure you remove the cuticles without harming yourself physically, it’s advisable that you use a cuticle pusher with a rubber grip. Just like your skin, your pink nails will need glossing. The first thing you need to do is to get a sharp clipper to trim and file the nails. Filing should be done in one direction since filing back and forth is likely to damage your nails. You should then buffer your nails by applying a gloss that will not interfere with the pink color. The natural color of your nails will be maintained. Apply fingernail oil that is rich in vitamins A, C and E. Moisturizing should be done on the cuticles and the nails. When properly done, the cuticle oil will boost the growth of your hands while still maintaining the pink color. To add a reflexive sparkle, you can massage your whole hand. Lastly, wrap your hands with a clean dump towel for about 10 minutes to give your hands more comfort. Wipe the oil and you’re done. Repeat the same procedure once a week to maintain healthy pink nails. If you want your pink nails to stand out, you must be aware of your skin tone. It’s recommended that you wear a lighter shade if you have a light skin tone. Similarly, those who have a darker skin tone should wear darker pink colors. To see how the color will look on your nail, you can test it first on a piece of paper. Before you decide on the pink color shade to apply on your nails, you should consider whether you’re attending a business function or it’s for casual purposes. By understanding the nail anatomy, you have no reason not add a supreme charm to your overall look. This is first time I am writing something about nail art designs. Previously I have only talked about dresses, hairstyles, shoes, watches etc. 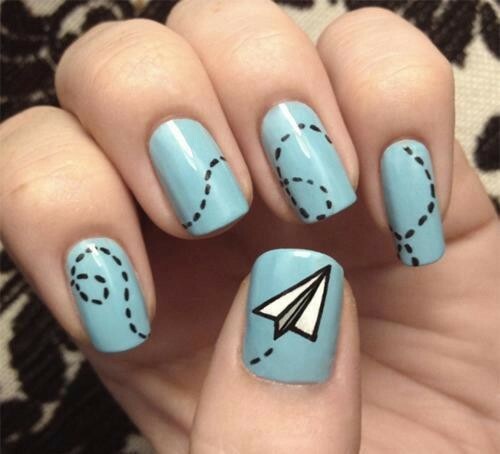 So I thought its time to write something on new topic that is amazing nail art designs ideas for girls 2013. How much awesomeness can you cram into a space the size of, well, a fingernail? Apparently the answer is only limited by your imagination. 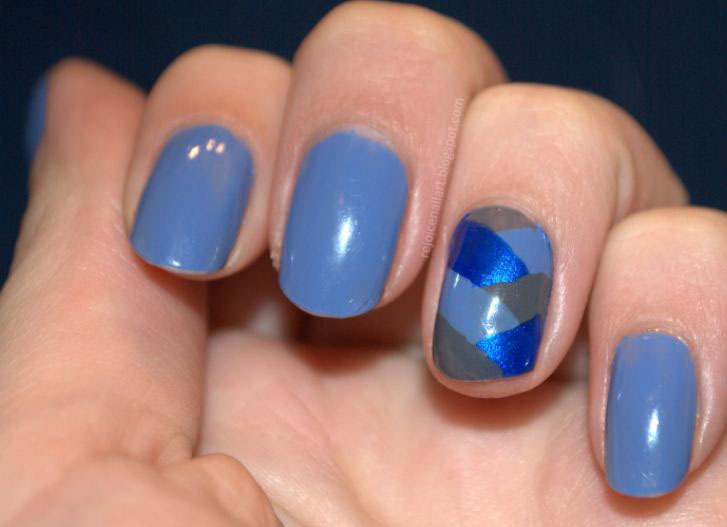 Nail art is a fun, simple way to be creative and dangerously addictive. You can amazing work with your nails just by using your imagination or by taking examples from this article. That’s why you are here to get some amazing nail art designs ideas for your nails. Nail art isn’t that hard, you just need to try and enjoy, it’s just that simple. I have seen a lot of girls doing unique and stylish nail art on their nails. 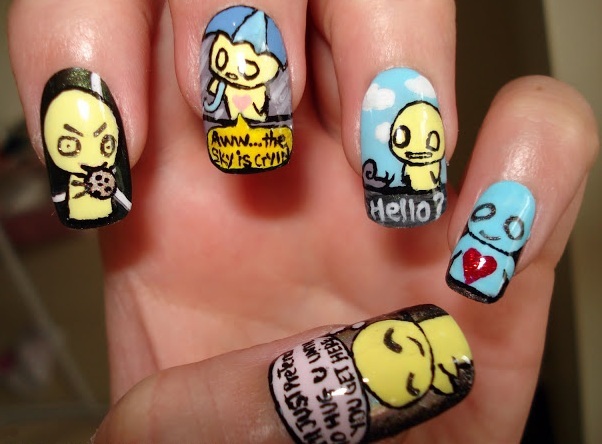 It looks extremely good and fascinating that you can also this with your nails. Now time has gone when you just paint your nails with only one color available its 2k13 baby. Nail art has became an emblem of femininity. Now you daily have to do experiments with your looks if you want to look fashionable and modern. So check out some really interesting and fashionable examples of Stylish Nail Art Designs Ideas for Girls 2013. I am sure that you will like it. 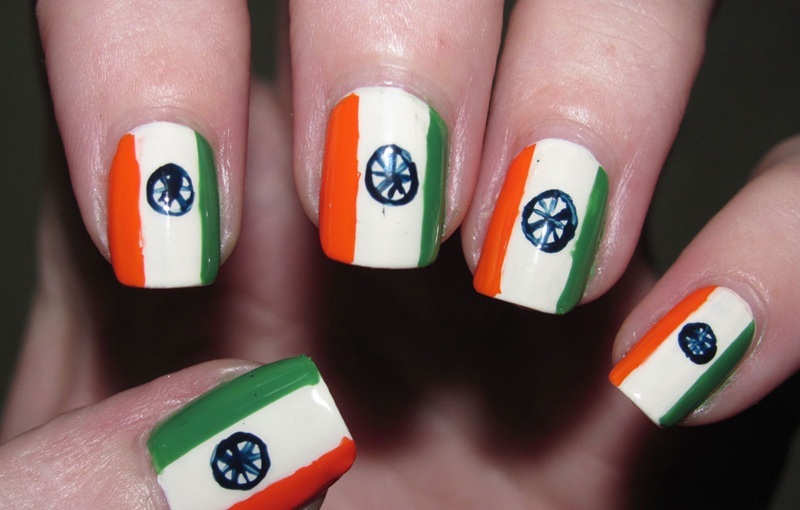 Nail Art Design Idea is inspired from Flag of India. 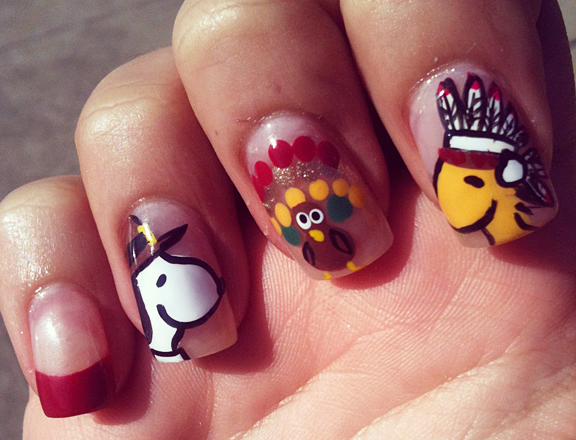 I like this nail art the most. Its easy, simple and so cute. Nail art can be complicated sometimes because it not just works of seconds. You have to spend sometime working on it because it is little bit hard to draw it perfectly. But you can always take help of someone if you like. Don’t give up if you didn’t get it corrected for first time, try again. 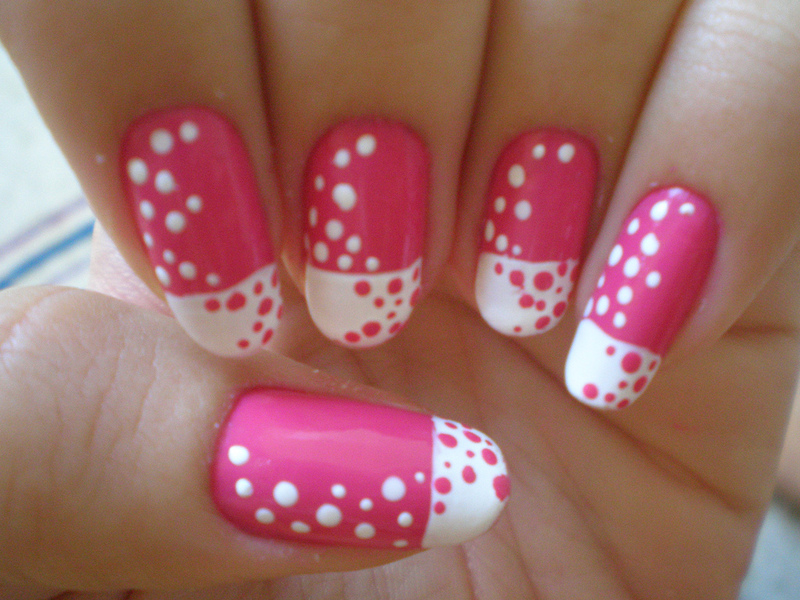 Hope you liked my this effort to providing you stylish nail art designs ideas for girls 2013. 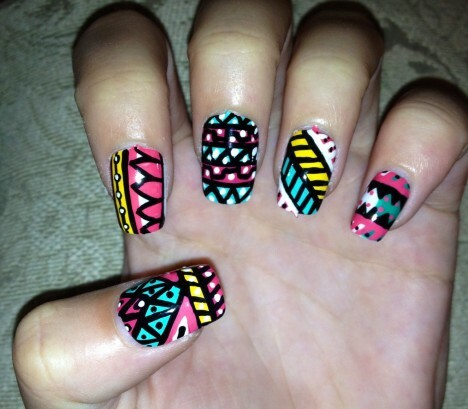 Do tell me which on e you liked the most or send me pictures of your nail art at saini.jaz@gmail.com. I will post them on Facebook page of Inkcloth.com . Check it out here www.facebook.com/thechdlovers . Want a professional looking nails without spending your time at hi-fi salons which will cost you manicure more than salary. Then check out here on Inckloth.com how to do French manicure at home . With some practice and a little patience, you can enjoy a fancy French manicure anytime you want for only the cost of your nail polish isn’t that cool.